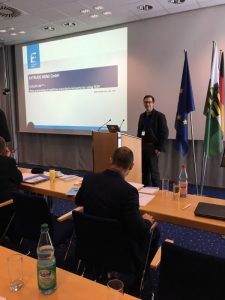 Robert Binder product manager ECM at Extrude Hone will present today at the INSECT Symposium at the Fraunhofer Institute for Ceramic Technologies and Systems IKTS in Dresden Germany. Robert will speak about the breakthrough that COOLPULSE technology based on the ECM technology represents for the additive manufacturing part finishing. Extrude Hone has introduced COOLPULSE early this year as an innovative fast and economical way to improve surface finishing of 3D parts.